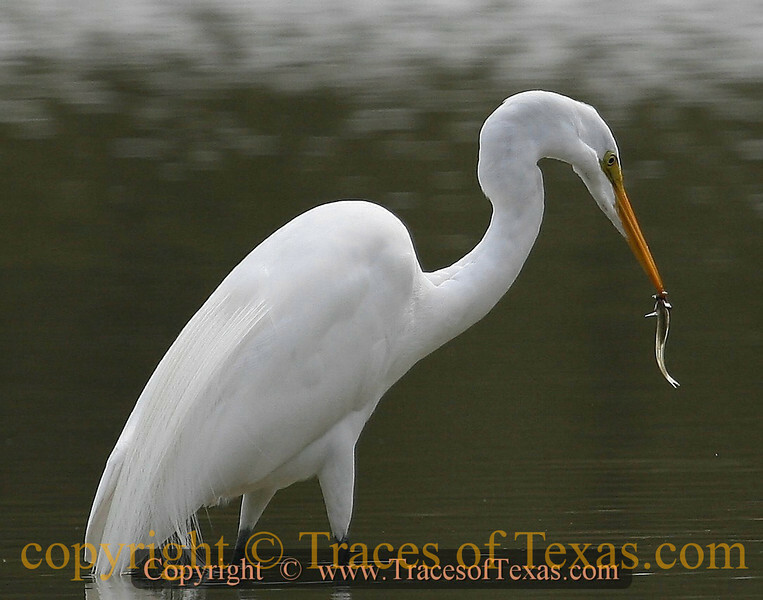 This Great Egret ( Ardea alba ) just got lucky. The fish? Not so much.